The National Library of Wales is one of the 10 Hub partners across the UK participating in the Unlocking Our Sound Heritage project, which is funded by the National Heritage Lottery Fund and led by the British Library. The British Library and the 10 Hubs will digitally preserve half a million rare and at risk sound recordings, and make 100,000 available online. 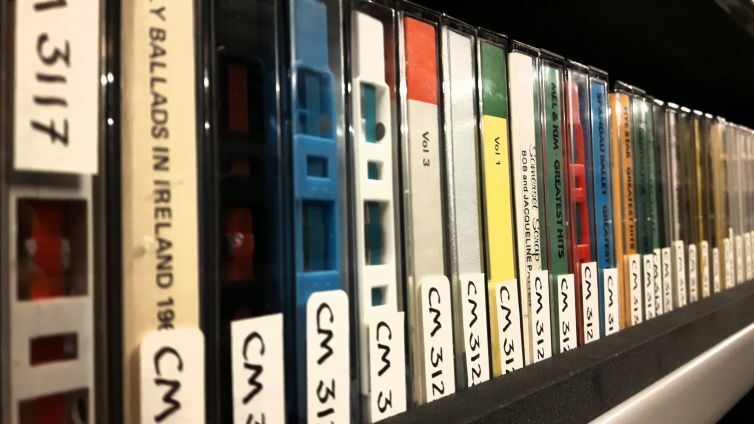 From September 2018 until September 2021 the National Library of Wales will digitise, catalogue and assess rights for 5,000 sound recordings from Wales. They will include a range of subjects from oral history, lectures, dialect to Welsh pop and folk music. The aim is to transform access to sound collections in Wales making them available online and on site at the Library. In order to fulfil this, we will be working with some of our partners in Aberystwyth, Bangor, Cardiff, Swansea and Tredegar. We are looking for volunteers or students who wish to gain work experience to support the project. We have a range of activities on offer from creating inventories, help prepare digitisation work and content research. Training will be provided. 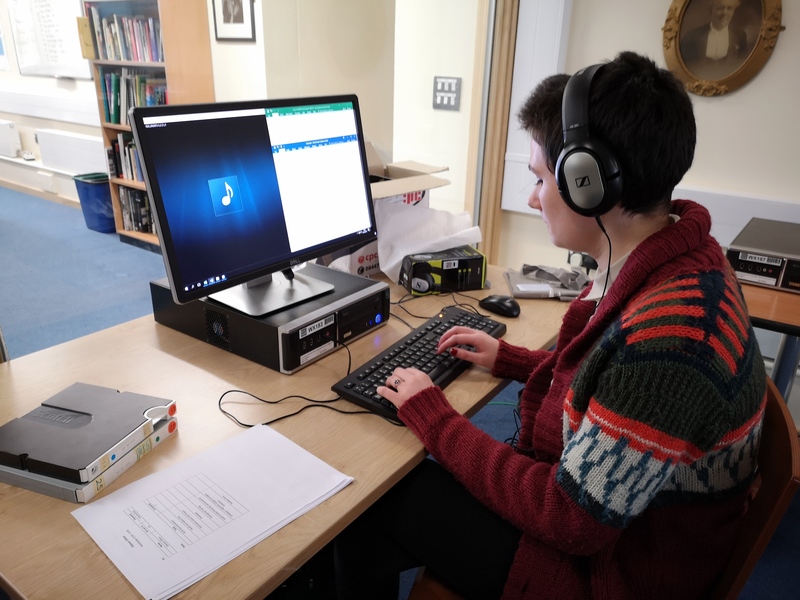 If you have an interest in learning more about Welsh history and sound recordings, keen to learn and develop new skills why not join our warm and friendly team. 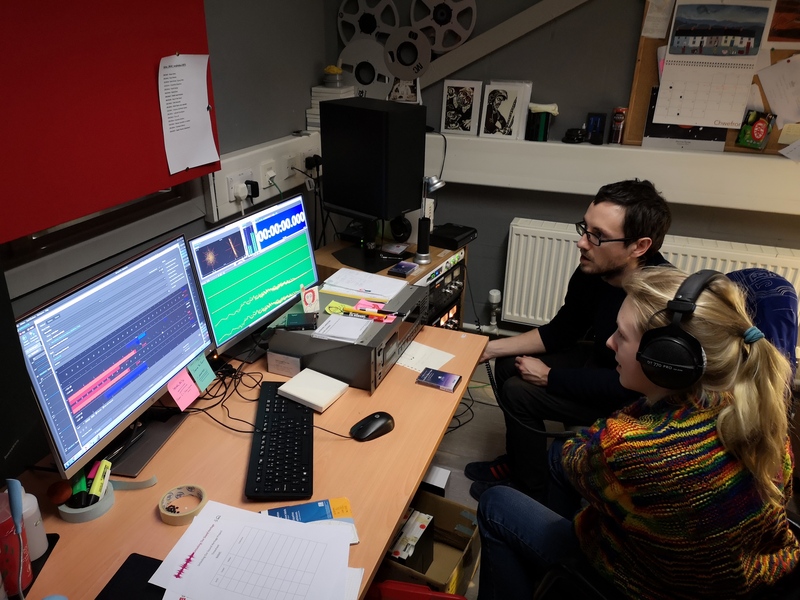 The HTV Wales archive is a significant record of Welsh popular culture, politics and history captured on both film and video and it constitutes a large part of the Screen and Sound Archive. An archive of that size and age will have an assortment of conservation challenges, especially in the area of restoration. By far the most common problem with old tape is Sticky-shed syndrome (SSS) or hydrolysis. SSS is symptomatic of the breakdown of the tapes’ polyester binder due to absorption of moisture. The tell-tale squealing of the tape as it passes over the playhead and the accumulation of dirty deposits upon the guide and playhead indicate a tape has SSS. A tape with SSS will, amongst other issues, exhibit ‘crabbing’, i.e. the moving from side to side of the moving image, and if not treated continued playback could further damage the tape. So how do we restore that believed lost episode of ‘Gwesty Gwirion’? The answer may surprise you! The standard practice is to bake the tape at low temperatures for relatively long periods of time, such as 130 °F to 140 °F (54 to 60 °C). Strictly speaking we don’t ’bake’ our tapes but instead use a commercial food dehydrator that removes all moisture from the tape pack. How long we do this to the tape will depend on the severity of the SSS; up to a week we’ve discovered is time enough. We have been successful with the majority of the tapes that have undergone the process, with many lost gems brought back from the brink of oblivion. You can see some of them on the ITV Wales YouTube channel https://www.youtube.com/channel/UCT2NfMee-YxsGaH852qTx3Q or view them at the Library. The project will focus on digitising and preserving rare unique sound recordings, those that are under threat of physical deterioration and those at risk of being lost because the playback equipment is no longer available. The British Library will lead the project, sharing skills and supporting hubs across the UK to preserve their own unique and rare sounds while making them available to the public. By the end of 2021 the National Library of Wales will have digitally preserved and provide access to unique and rare recordings from our own collection and from partners’ collections across Wales. The recordings will be used in learning and engagement activities and will raise the profile for collections for Sound Archives across the UK. 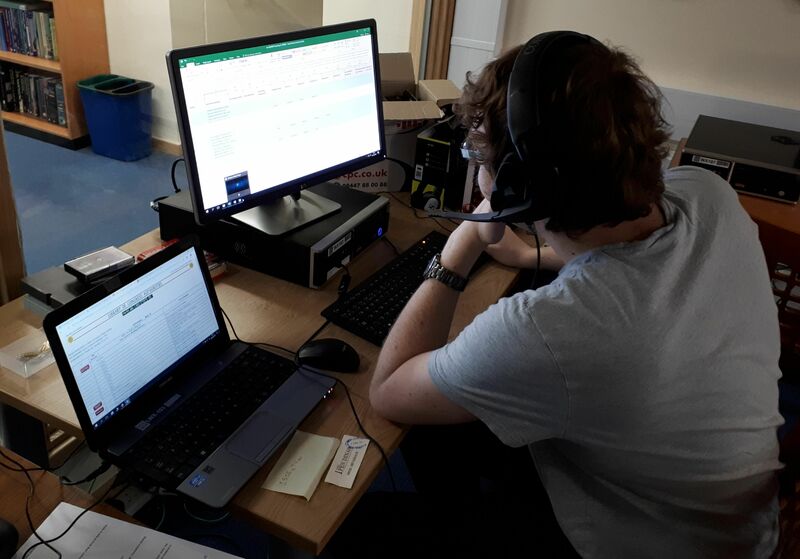 By the end of 2021 more people will have engaged in sound recordings and a new website will allow listeners to listen and explore a selection of online recordings. October 21st is International Home Movie Day, and our collection here at the National Screen and Sound Archive of Wales is a great place to explore a wealth of such films dating from the 1920s onwards. Once upon a time, Home Movies were seen as personal accounts of daily life, and due to their format only viewed by a small number of people, but modern technology has made it so they can be shared. We have recently digitised over seven hundred of the films in our care, many of which are now available to view for free on the BFI Player here. It’s almost like you’re looking through someone’s window, only the window is someone else’s camera lens. Some of our favourite home movies from this collection include: Baby Marred 1955-1959 – a wonderful film showing the baby growing into a toddler with her loving sister Annes by her side, Branksome, Heathwood Road, Cardiff, a stunningly coloured film depicting life in Cardiff during the Second World War in, and Tiger Bay and The Rainbow Club – II – showing a glimpse of the history of Cardiff’s most famous community, in glorious colour. Our collection ranges from home movies depicting the deeply personal, to celebrating the wider community. They are all humbling for the care, effort and cost which the filmmaker must have incurred, but most importantly they offer something that is very real and (largely) unedited. These home movies offer an opportunity for investigation, reflection and hopefully inspiration. Although the method and media has changed drastically in the following years, our drive to capture and share our lives has become – seemingly – evermore insatiable. The home movies of yesteryear recorded on Super 8, projected on living room walls and stored in attics, are now recorded on phones, projected through social media and stored in the cloud. Perhaps one day we will have a department dedicated to preserving Snapchats, Instagrams, Tweets and Facebook live posts of specific interest to Wales and relating to its culture! Over the Summer, the Archive contributed to a wonderful programme called ‘Wales’s Home Movies’ which was broadcast last Sunday (October 15th) on BBC Wales. It showed personal film footage caught on camera, and interviewed the people that were in the films, who shared stories of the days that had been captured. If you missed it, or would like to view it again, it is available on the BBC iPlayer here until November 14th. You can follow us on Facebook, Twitter and Instagram to be inspired (almost) daily by our collection, and you are always welcome to visit us in person at the National Library of Wales to see how we care for these precious films, and safeguard them for future generations. A blog about the work and collections of the National Library of Wales. Due to the more personal nature of blogs it is the Library's policy to publish postings in the original language only. An equal number of blog posts are published in both Welsh and English, but they are not the same postings. For a translation of the blog readers may wish to try facilities such as Google Translate.